At the end of the 19th century 2 Rose Cottages was the home of market gardener Charles Selley and remained a private home until the shop front was built in around 1911. It was during this year that Mr Albert Ernest Francis opened his grocer’s shop here. Mr Francis has previously been trading at 1 and 2 Adelaide Buildings on the opposite side of Bath Road. Albert Francis was here for about two decades until his successor, Mr Ernest Young, took over. Mr Young (no relation as far as we know to Robert Young next door) was here throughout the Second World War years. The shop then passed to Mr James Jennings, who had two large white dogs. He always wore a long white grocer’s apron and a cap for work. Mr Jennings was a Squadron Leader Command catering officer in the War and came to Cheltenham early in 1946 to take over the grocery and provisions business. He had experience of local government in Oxford and stood as an Independent candidate for the Park Ward in the elections of 1947. He was here for about twelve years and then sold the property to Mr Hicks for the enlargement of Leckhampton Dairies in the adjoining premises. Mr Hicks had a wholesale dairy at Church Farm in Leckhampton which traded as Leckhampton Dairies. The acquisition of 248 Bath Road gave him a retail outlet to sell his dairy produce and he expanded the business into 250 to create a large retail food store supplying grocery, greengrocery, meat and dairy produce; it also contained a wines and spirits department. After the closure of Leckhampton Dairies shop in 1984, this shop became Threshers off licence until it transferred next door. It then was leased for some years by Robert Young the florist, as a gift shop, and was known as Two Fifty Bath Road. 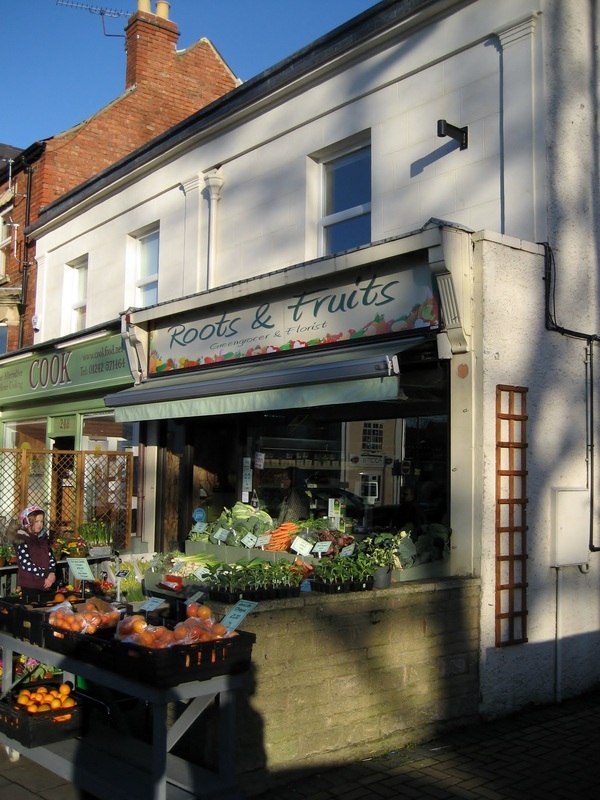 Since Robert Young’s closed, these premises have become a fruit and vegetable shop called Roots and Fruits.